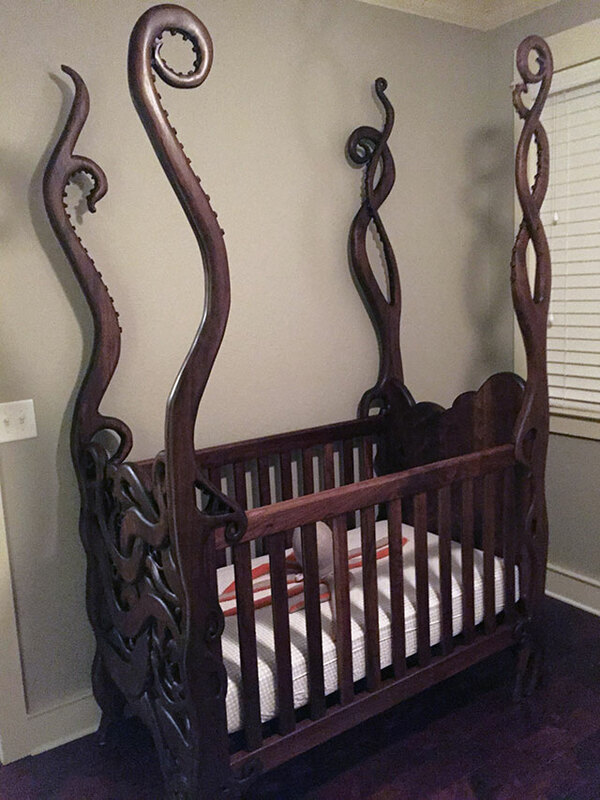 In the crib of madness: Expecting parents commissioned this creepy crib with tentacles hand-carved by artist Garrick Andrus. The Eldritch crib is truly a thing of cosmic horror. 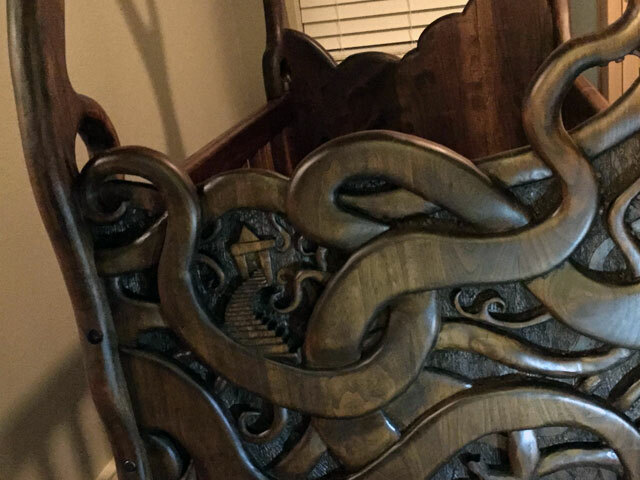 The hand-carved walnut panels depict a dizzying scene of entangled tentacles, eyes, mouths, and a winding path into an ominous, crypt-like structure. Perfect for many future generations of Cthulhu-worshipping human larva. All they need to complete the nursery now are some teddy bears in jars.